The highly-anticipated Doernbecher release for the year 2013 is finally out in the market. 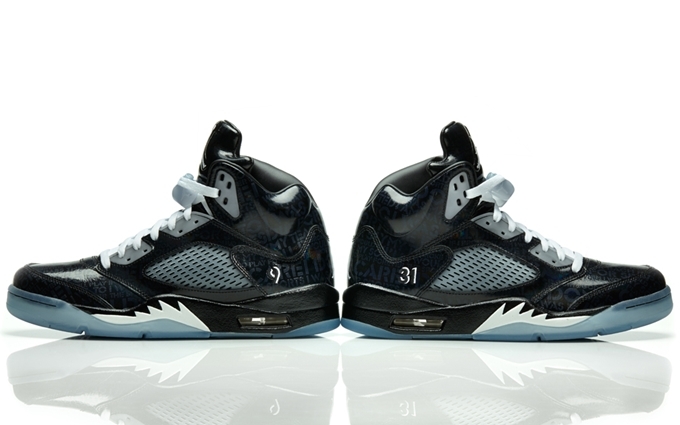 Jordan Brand recently finally released this year’s DB – the Air Jordan 5 Retro Doernbecher. This year’s DB release was allegedly made to pay tribute to the family of 2012 Doernbecher Freestyle Program patient Isaac Arzate, who designed several Air Jordan 5 Retro DB during his rehabilitation at OHSU before succumbing to another heart-attack in April last year. This AJ 5 Retro, which features a dark 3M reflective upper part, is now available for just $180 per pair.